I’ve never been good with theories and hypotheticals. I’m a practical kind of girl. I like to operate in the world of reality and practicality. Maybe that’s why it took so long for me to “get” faith. I couldn’t relate to the theory of God, the hypotheticals of a world ruled by this supreme creator. It wasn’t until I got practical with God and actually experienced Him in my life that I started to “get” faith. As I met God in my real life, came to know Him as real and up-close personal in my life, I realized there far more to this “faith thing” than I’d ever realized. Prayer has been a similar struggle for me. Why pray? It was all poetry and fancy words. All talk and no action. All theory and hypothetical, with no proof and practicality. Until I experienced it personally. Until I personally felt the power of prayer up close and personal in my very real life. I’ve written a lot about the “how” of prayer and the “why” of prayer, but what about the “what” of prayer? What does prayer actually, practically, do for our real lives? I love the “how” because it speaks to my practical side. The “why” is important, but it’s a more theoretical discussion. The “what,” however, lives between the two. It’s very tangible and practical to those who have experienced it firsthand, yet full of theory and hypothesis to those who have not. It’s for the ones who have touched it, though, to build the bridge to those who are still wondering and give a reason to step forward in hope and faith. Why pray? What does prayer actually do? Why Pray? It works and God will change your life! In case you’re still not sure these are real and practical, these are all prayers I’ve prayed over the past years – and the responses I’ve heard and felt from God. OK, so He may not always respond as instantly as a text message (although I have seen Him respond through technology). He may not always respond the way we’re expecting and His answers may not always be readily apparent. But I promise you I’ve experienced His answers in so many very real ways. If you’re still on the other side of that bridge, would you lean in and grab my hand? Take a small step toward me and ask God to show you His response. Then, lean into your prayer and believe and listen. Give prayer a chance and try it out. Not just once or twice, not just when you’re in your most desperate moment, but daily, in your real and practical life. Why Pray? Let’s lean in together and discover the full power of prayer! Let’s lean in together and get real and practical with prayer. Faith is more than theories and hypotheticals. We have a real and practical God and He wants to hear from you! If you’re looking for resources to go deeper with prayer, may I recommend my “Pray Deep” devotional prayer book? Pray Deep is 21 days of prayer, exploring the nature of prayer through 20 different prayer methods. 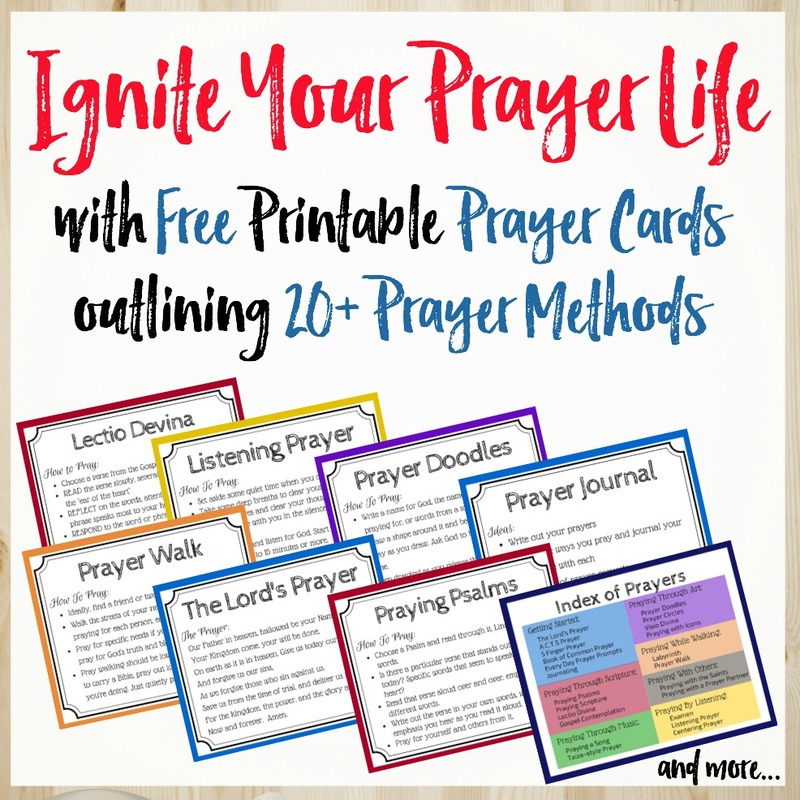 It will ignite your prayer life and expand your prayer language. « Will You Accept God’s Gift of Prayer? Love all the Scripture here! Thank you! I just love that you shared these questions of our heart, answered with the promises of God. I’m going to print this out, they are so encouraging. Prayer is such a mystery to me, but I am seeing God move when I bring all my concerns to him. You are so right — God rarely answers quickly — it’s amazing when he does, but I find that over time, he draws my attention to the very things I’ve asked him. Thank you for these hopeful words! So much of what we need in prayer is God’s response in His word. I LOVE this post and how the answers to our deepest questions are revealed in the words of God. I am always encouraged by your thoughts on prayer and blessed by the way you lead others to a deeper prayer life. The what, the Why, the How… are all a part of the reason why we pray. For me, too, the faith… believing that HE IS ( Hebrews 11:6) is the a part of all of those. Without faith prayer seems futile. Believing that He Is a rewarder of those who diligently seek Him makes the approach to the throne so much easier. Prayer is so easy to push to the side, but so very important. Thanks for pulling the verses all together so that I can use as a guide. Beautiful truth here today, Kathryn. That’s what God does when we pray: replaces our doubts and fears with His TRUTH! Yes! What a great post on prayer, Kathryn! I love your honest cries and the wonderful words from scripture! I really do think it’s that simple. To learn to pray, pray! I love your practical side! And I love how you provided God’s answers to many of the questions people seek answers to! I’m saving this and tucking it inside my devotional. Thank you for sharing!